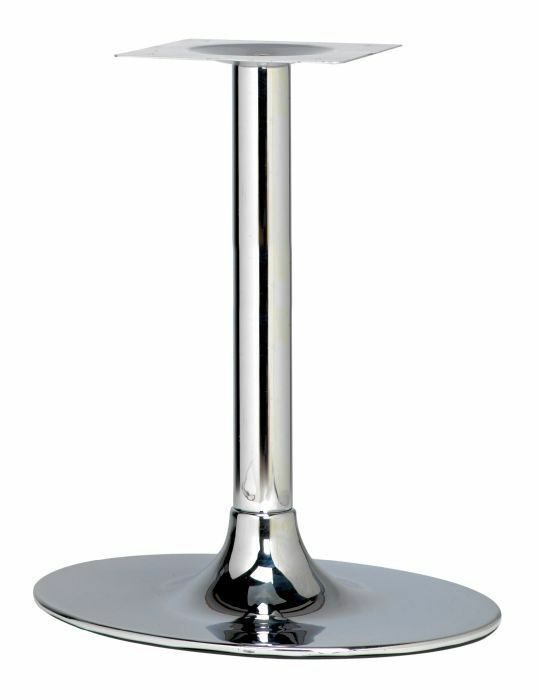 Large Chrome table bases suitable for table tops up to 1200mm diameter or 100mm square. Held in stock and delivered in 2-3 days. Easy assembly. Free UK delivery. 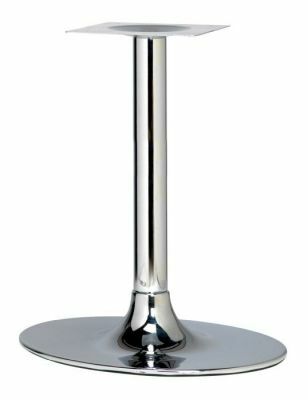 Extra large café table bases with trumpet style design available from stock for a wide variety of commercial applications. These café table area delivered flat packed for self assembly or can be installed via our national café furniture installation service. Please contact our sales team for further information.